During the past 48 hours (March 26-27), Russian-terrorist forces continued shelling the positions of Ukrainian troops and civilian objects in the Donetsk, Mariupol and Artemivsk directions, using small arms, 120-mm mortars and other heavy infantry weapons (rocket-propelled grenade launchers, heavy machine guns). Insurgents were observed using MLRS BM-21 “Grad” from their positions north-east of Stakhanov (earlier, the IR group reported on the transfer of artillery to terrorists in this stretch). 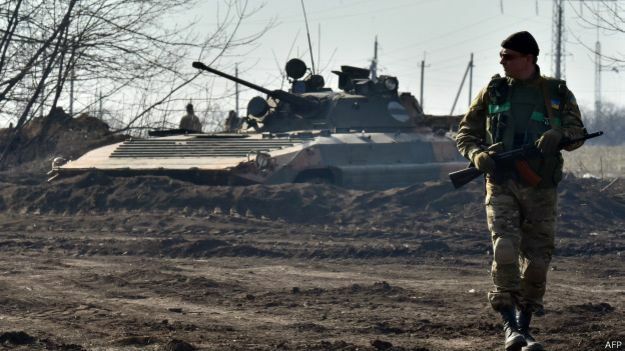 In Mariupol (the seaside) direction, along with shelling, insurgent attempts to maneuver their manpower and equipment, as well as transfer of reinforcements to advanced positions have been observed. In addition to significantly heavy shelling at the forefront, insurgents continue to increase combat capability of their units. In particular, to reinforce “Oplot,” “Vostok,” and “Sparta” gangs, the enemy has moved marching replenishment to the vicinity of Donetsk (Petrovskyi and Kuibyshev city districts) – about 400 armed men that were transported by road (including grenade launchers, heavy machine gun, and anti-tank systems). This reinforcement includes a significant (about 75%) number of residents of Crimea and residents of Donbas who were earlier “evacuated” to the Russian Federation [RF]. These people received specialized instruction in training centers in the vicinity of Rostov-on-Don (Russia) and Perevalsk (Crimea). Russian mercenaries comprise about 25% of the personnel of this gang. The transfer of reinforcements was carried out secretly, without any support of manpower or equipment. A second battalion tactical group of Russian-terrorist forces currently deployed to the north-east of Dokuchajevsk is staffed predominantly with Russian mercenaries and military personnel of the RF. During the past 48 hours, this group has received another reinforced mechanized company (partly using BMP-2, partly – BTR-80 and MT-LB). Overall, the group that took up positions north of the settlement of Laspa, received up to 15 AFVs, 4 MT-LBs and 4 tanks in addition to those [vehicles] that arrived earlier. The group also is in possession of 2 ZU-23-2 anti-aircraft installations and a significant number of anti-tank weapons (ATRA). Moreover, a mortar battery arrived in the area – 6 mortars of 120-mm caliber and 11 vehicles. It seems this mortar battery will act in the interests of the entire battalion tactical group (an insurgent artillery group that was earlier deployed in this area and which had repeatedly conducted fire strikes onto civilian objects in the vicinity of Dokuchajevsk, has been moved back in its entirety behind Starobeshevo). In the seaside direction, the transfer of a small armored group from the direction of Bezymenne (2 tanks and 3 BTR-80) towards Shyrokyne has been observed. Earlier, the movement of a reinforced mortar platoon of terrorists (120-mm mortars) was recorded through Novoazovsk towards Mariupol, accompanied by a BMP-2 and 2 BTR-80. 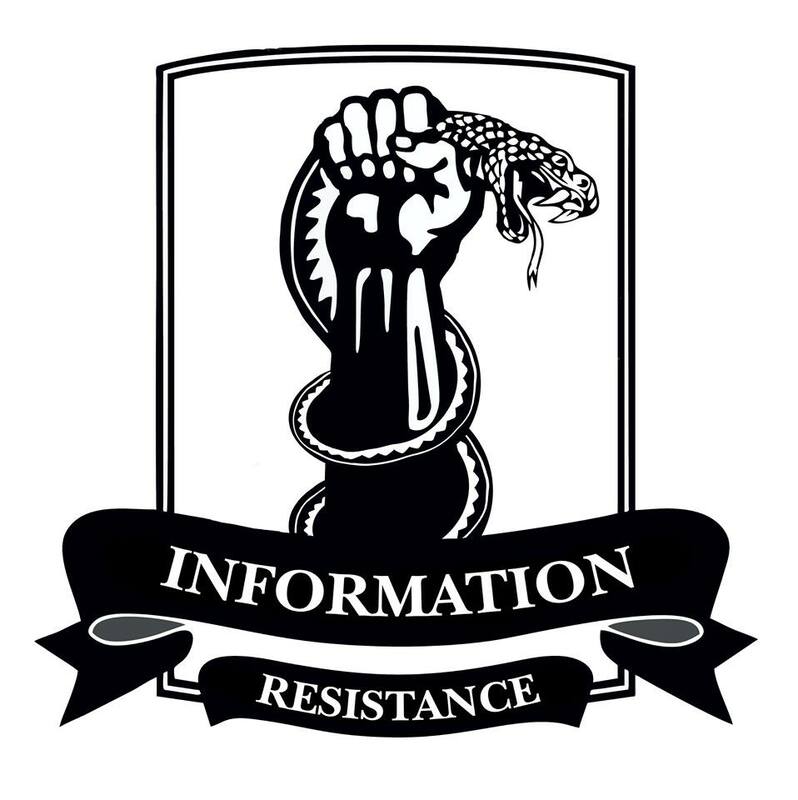 On the Shchastia – Stanytsia Luhanska stretch, the enemy actively conducts a regrouping of its forces, disguising it as a “withdrawal of heavy weapons,” while also transferring new weapons to this site. During the last 48 hours, 11 trucks and specialized vehicles, as well as 2 tanks and about 5 ACVs crossed through Luhansk and Oleksandrivka in the direction north of Luhansk. The transfer of ammunition for the insurgent artillery gathered in the vicinity of the Donetsk – Luhansk highway continues through Krasny Luch, Ilovaysk, and Snizhne. At the same time, the “withdrawal” of artillery [that was] demonstrated earlier by insurgents has been essentially derailed – terrorist artillery equipment deployed from Yenakiieve, Makiivka to Chornukhyne and Alchevsk continues to mainly remain in its positions, and the “withdrawal” is performed only by specially allocated personnel and equipment of the insurgent artillery groups. The main purpose of this particular group – is to provide support for Russian-terrorist troops in Dzerzhynsk, Artemivsk, and Lysychansk directions. At least 60 cannon artillery guns (mostly 122-mm D-30 howitzers), 34 self-propelled guns (mostly 122 -mm 2S1 “Carnation” self-propelled guns, but also units with 152-mm “Acacia” and “MSTA-S” self-propelled guns have been observed) are deployed in the three main divisions of this formation. Russian-terrorist troops continue to accumulate material and technical resources and to test new avenues of logistics. During the past 24 hours, 4 supply convoys (48 vehicles) were observed carrying fuel, ammunition, spare parts, and specialized equipment. Terrorist continue to predominantly use a “southern route” (via Amvrosiivka, Snizhne, Shakhtarsk, Ilovaysk) for the movement of supply convoys. [Terrorists also] organized a two-tier system of logistics – using railways, trailers and driving teams to certain locations from the adjacent territory, after which automobiles are predominantly used to distribute and deliver resources. Directly in the occupied zone, the military equipment mainly moves by itself. • The transfer of a reinforced company towards Vesela Hora from Metalist (about 90-100 people on 5-6 trucks, 4 120-mm mortars, 2 BMP-1, 2 BMP-97, a MT-LB as a PPRU [NATO reporting name “Dog Ear”] (mobile reconnaissance and command center for tactical air defense).